Well, it was a great week to be home blogging and crafting. This was last weeks weather! 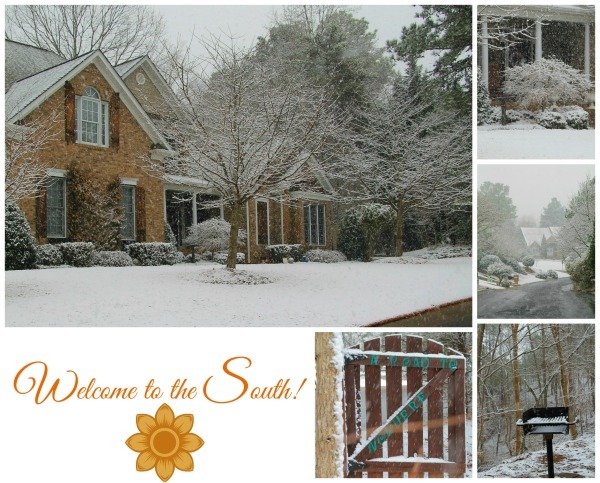 and we moved from South Florida…why? And this is today’s weather, Sunny and about 65 degrees. Now were talkin! I sure do miss South Florida’s winters, that much I will say. 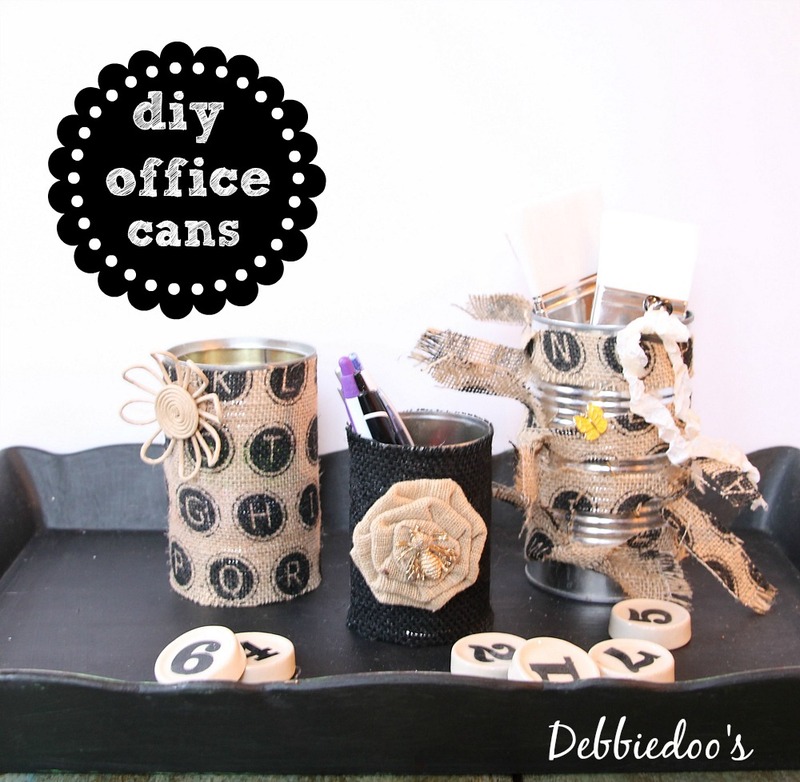 Today, I am sharing diy office recycled can caddies for your home office. I had some burlap left over after reupholstering the office chair. and will make an office caddy or two. 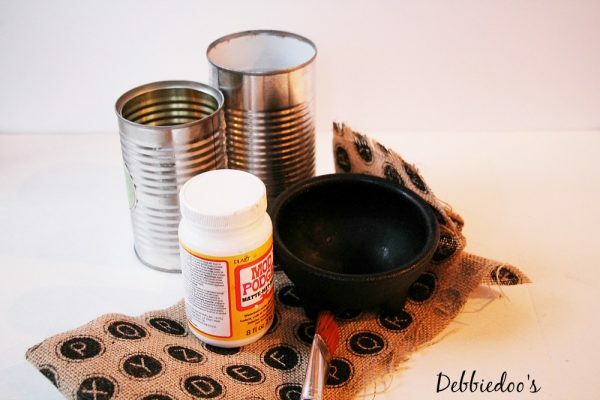 Simply mod podge the can in sections at a time. continue around can in sections. This can I just cut strips and tied it. and virtually free. If you have all these supplies on hand you can whip these out in just a few minutes. 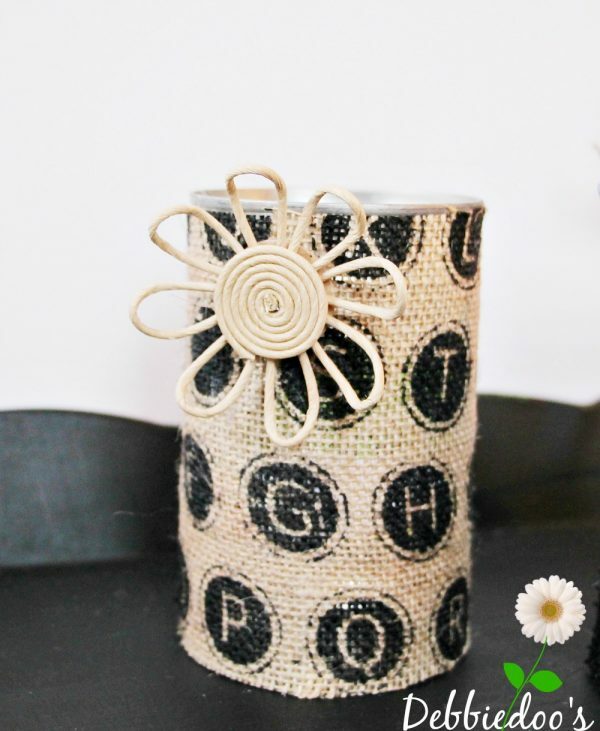 You can check out my recycled cans archives and get more ideas of your own. Adorable and creative, great job! I’ve never used the mod podge before, but it looks like I need to pick up some. Oh you need to get some Liz…you will love it. 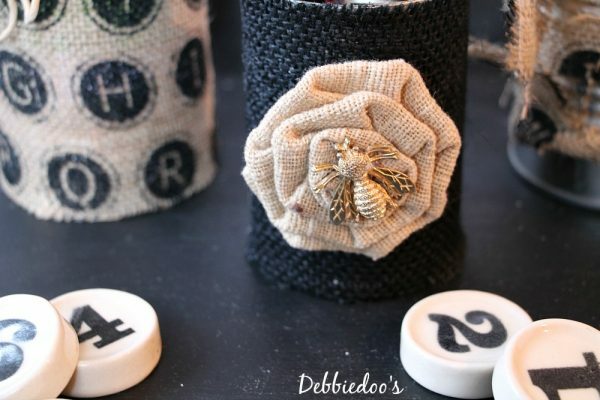 Cute idea with the cans. I always feel bad throwing cans out – I know they have so many uses. This one happens to be the cutest recycle. No need to throw them away. I have a collection just waiting for my next project. Always something fun to do with a can Holly! Oh, I have to say, those are perfect and oh so cute! You are so clever and oh, so talented! Not that much talent for these Nancy lol:) But thank you. 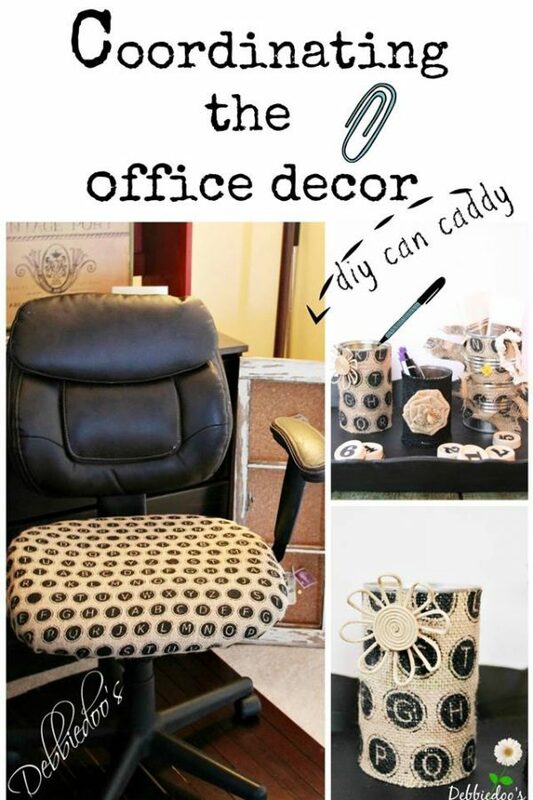 Great idea Debbie, the next spot on my list is to tackle the office. Slowly but surely it is coming along in here. Very cute! And I love how they coordinate with your chair. Simple and free, can’t get better than that! The free part is the best right! They are adorable, Debbie! I love how well they coordinate with your office chair. Thanks Gina, I like the look too! So fun, Debbie! 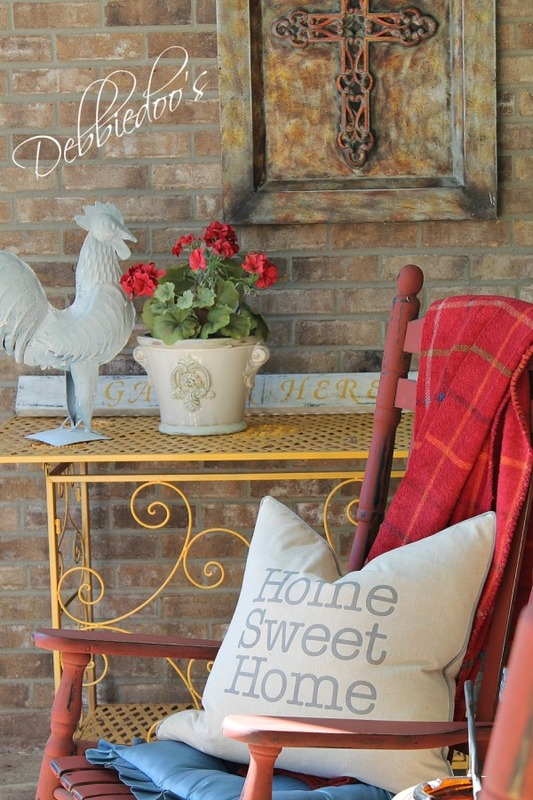 I love that burlap! Oh and I hope YOU own stock in burlap, girl. lol Pinning! 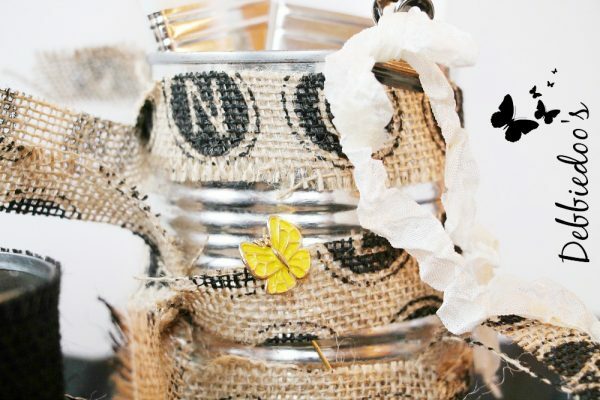 What a cute way to recycle some cans. These are really cute. Debbie, that’s a great idea and looks cute! Super cute and so creative!! Love the chair’s seat cover!